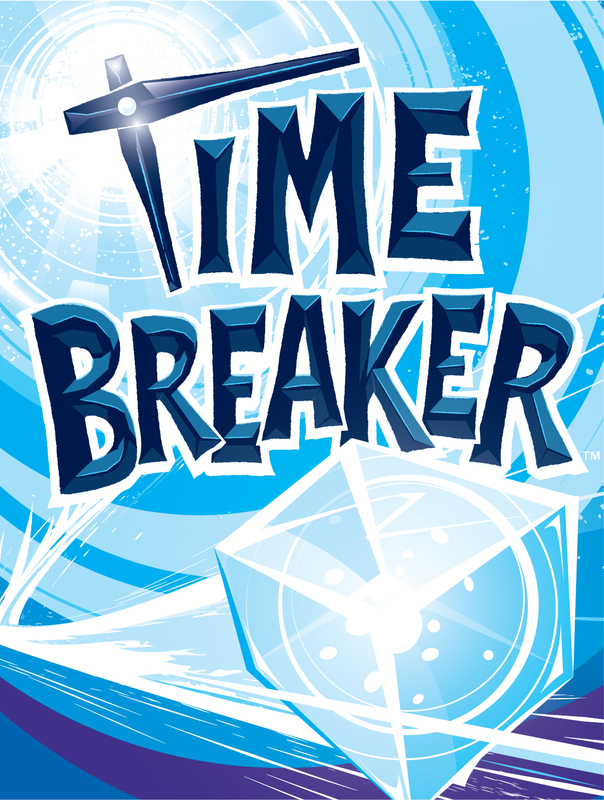 RETAILERS: Preorders for Time Breaker are due to your distributor by January 16th! If you want **EARLY DEMO COPIES** for your store, PLEASE PRE-ORDER them from your distributor! Our printer is working hard to get them shipped out ahead of release, but, you MUST let your distributor know you want it so they can order enough demos! Demo copies do not have a street date. Please play with them and spread the word as soon as you can! Depending on your order frequency, you may get your demo as much as TWO WEEKS EARLY! Looney Labs is releasing a brand-new time travel game on February 28, 2019! It's a chase across time to catch a chrono-criminal! The Time Breaker is running amok in time, jumping from one tile to another, each representing a different year. In this fast-paced card game, you must carefully navigate the time stream to find and arrest the Time Breaker. Then, return with them to Time Repair HQ before your opponents catch up or the Time Breaker slips away. Box Size: 3.75" x 5" x 1.5"
Display Size: 3.8" x 5" x 6.75"
PLEASE NOTE: We are not making a demo kit or a marketing kit for these products. send out posters at a later date, that is still to be determined. We are setting a delivery date on these items of two days before the street date. Distributors: It is okay to send this to stores a little early, so they are sure to have it ready for sale on street date, but please make sure you promote the street date as the date they can start selling the game! Retailers: Please don't sell it until the street date if your copies arrive early! Time Breaker is a trademark of Looney Labs, and was designed by Andy Looney and illustrated by Derek Ring.